Go wild with sea turtles! Experience travel with a splash of conservation by participating in STC’s Green Turtle Eco-Volunteer Program in Costa Rica. What will my accommodations and meals be like? The black sand beach of Tortuguero draws the largest nesting population of green turtles, Chelonia mydas, in the Atlantic Ocean. Weighing up to 500 pounds (200 kilograms) green turtles are among the largest sea turtles in the world. STC studies have solved many of the mysteries of green turtle reproductive ecology and behavior. Long-term tagging at Tortuguero during the nesting months facilitates monitoring of the nesting population to evaluate the survival status of the species. 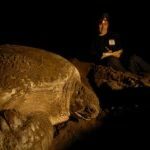 Eco-Volunteer Participants will work with nesting turtles weighing up to 350 pounds and measuring 3 to 4 feet in length. Work as part of a nesting survey team to help tag and record data about the nesting turtles. This includes measuring turtles, counting eggs, and marking nests. The presence of tagging teams on the beach also acts as a strong deterrent to poachers and egg collectors. Walk the beach in the morning to check the status of nests marked during previous night patrols. Assist with determination of nest survivorship and hatching success through nest inventories. Images of the Green Turtle Program. Eco-Volunteers must be 18 years or older. This experience is ideal for educators, couples, spring breakers, groups, or anyone who is interested in helping sea turtles and making a difference. Discounts are available for groups of six or more. A passport valid through the date of return is required. Non-U.S. citizens should contact the Costa Rican Embassy for visa requirements. Upon registering, you will be sent a Field Station Manual providing packing tips, travel information, STC policies and site information. You are volunteering to join a field research team which has specific physical demands that you should be aware of. All Eco-Volunteers must be in good physical health. It is important that all travelers are aware of the demanding physical conditions before signing up. We need you to accurately evaluate your ability to meet the conditions detailed below in order to safeguard your health and safety, and ensure that you can participate fully and effectively. If you feel you do not meet these considerations, please reconsider taking part in this program. Sea Turtle Conservancy’s research programs are scientific research projects, not guided tours. STC makes every effort to describe field conditions accurately, but fieldwork in remote locations is a delicate business and prone to last-minute change, flexibility is a must. STC’s programs are not package holidays! You will be assisting researchers with scientific field work at a remote field station, and when not working you will have unsupervised free time to relax and enjoy the nature surrounding you. Phobias to snakes and insects may pose a problem, although encounters with snakes are unlikely. If you are allergic to insect bites, bees or wasps please come prepared with appropriate medication or epi-kit. To avoid dehydration and other heat related you must bring a water bottle in order to stay hydrated during field activities. Diabetics without previous experience of how physical exertion in a hot climate may affect their insulin levels are advised to speak with a doctor. While there are no extreme physical conditioning or psychological demands, be sure you are able to walk at least 5 or 7 miles of beach each night for 4 or 5 hours. You must have good night vision, you will be walking without a flashlight at night during the patrols. You should be able to carry about a 5 lb pack (backpacks are used to carry the team’s field equipment) while walking on sand. Walking on uneven sand is difficult and not recommended for people with heart conditions, prosthetic limbs, or limited mobility. Phobias about being in the dark may pose a problem. Minor injuries or scrapes due to falls or tripping over obstacles on the beach can occur during nighttime work. Please also be aware that there is a good chance of getting sand thrown on you, with the possibility of getting it in your eyes, by a turtle’s flippers. This is an exciting way to participate in sea turtle conservation while vacationing in an exotic, tropical location. 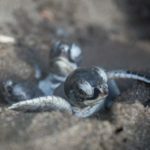 What makes STC’s Eco-Volunteer program even better is that your money will be supporting sea turtle conservation at one of the most important nesting beaches in the Western Hemisphere. Plus, a portion of your fee is tax deductible! Read Comments from Past Eco-Volunteers. Nesting season for green turtles runs from June through November each year. 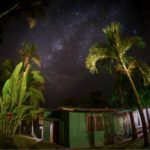 Eco-Volunteer Adventures run from June through October. Options include 1, 2 and 3 week sessions. Prices start at $1,713 per person, all inclusive. This price does not include international airfare. All prices are in US$ and are per person. * Single Occupancy / ** Double Occupancy. Until an Eco-Volunteer is registered and confirmed with STC and Holbrook by paying the required deposit, the cost of the travel portion of the Program Fee is subject to change. All scheduled in-country transfers between airports and hotels. A refund of STC’s portion of the program cost, less a $100 administrative fee, will be made if cancellation is received in writing no less than 60 days prior to departure. Cancellations between 60 and 15 days prior to departure will have a 25% fee imposed unless a replacement is found. If a written cancellation is received less than 15 days prior to departure, a credit of STC’s portion of the program cost, less a $100 administrative fee, is given towards a session at a later date. 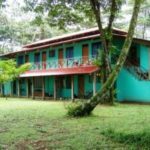 Eco-volunteers will stay at STC’s John H. Phipps Tortuguero Biological Field Station, located in a tropical rainforest setting, and just steps from the black sand beach. Modern plumbing, indoor showers, and potable water allow for a rustic yet comfortable stay. Meals, prepared Caribbean-style by a local cook, are served three times a day. $ Rustic, dorm-style living, includes 3 bunk beds with up to 6 people per room and community bathrooms. $ Scientist residence includes private bedrooms and bathrooms with a common living area. Images of STC’s Research Station. Receive training in sea turtle field biology and conservation. Days are yours to explore the local town, walk the beach or hike the forest. Choose from three comfort levels, from shared accommodations to eco-lodge. Includes a guided wildlife canal tour lead by a local naturalist. 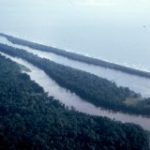 Includes land and boat transport to Tortuguero, return flight to San José. Nightly hands on field research with nesting green turtles. To reserve your place in one of the above research sessions, contact Sea Turtle Conservancy directly as soon as possible by phone or email or our convenient online form. 1) Submit the Online Registration Form or call STC at 352-373-6441 for initial registration, confirmation of dates, and contact number for travel information. 2) Secure your reservation with a $200 deposit as soon as possible.